I had breakfast for lunch at a coffee shop. 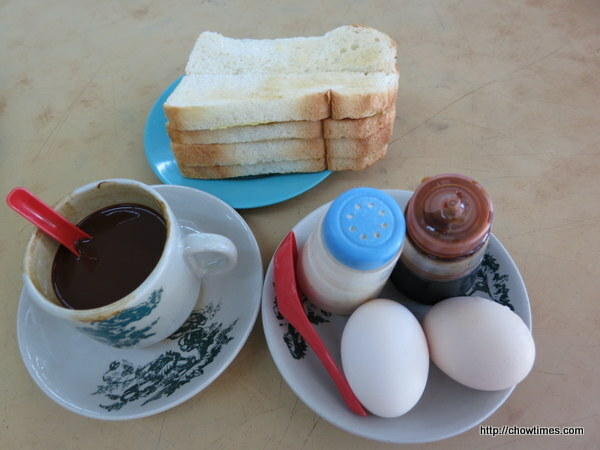 This is a typical breakfast, coffee, soft boil eggs and kaya toast. The soft boil eggs were just perfect. I like it with a little soya sauce and lots of white pepper. 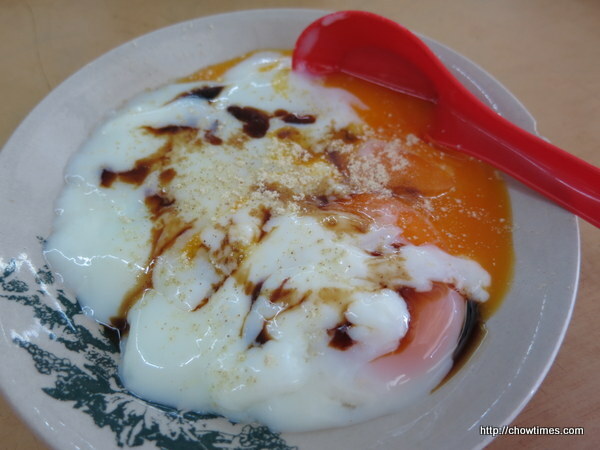 Two soft boiled eggs is RM2.40 (about CAD0.80). Kaya toast with butter and kaya, sliced lengthwise. 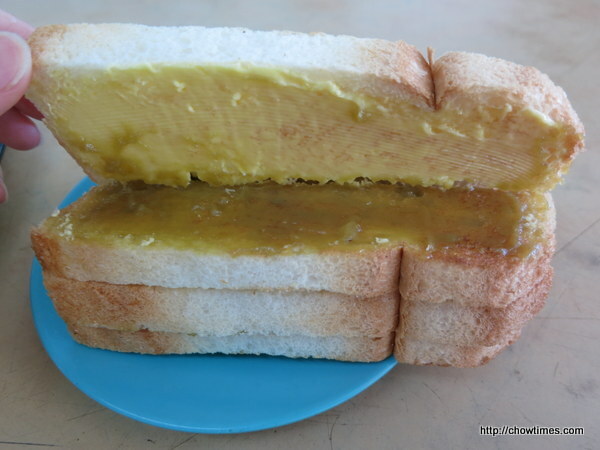 Two kaya toast is RM2.40 (about CAD 0.80). 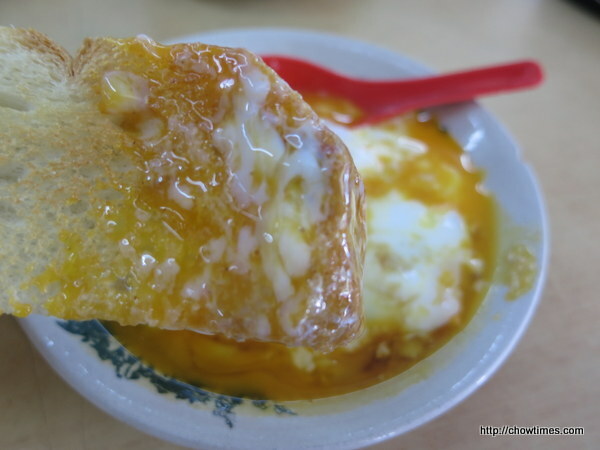 Dipping the kaya toast into the lightly savory soft boiled egg makes a perfect marriage. 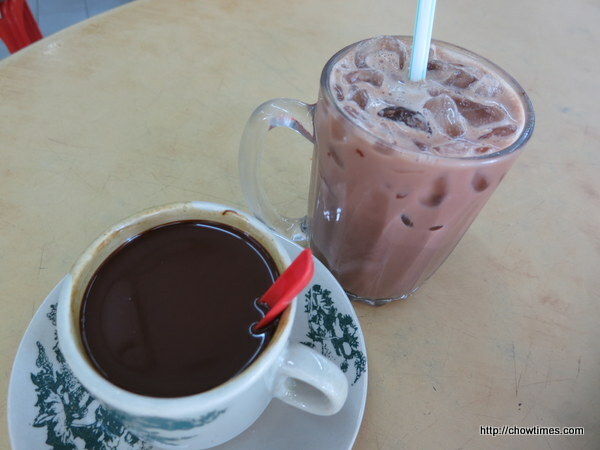 My niece’s iced milo is RM2.80 (about CAD0.85) and my hot coffee is RM1.70 (about CAD0.50). 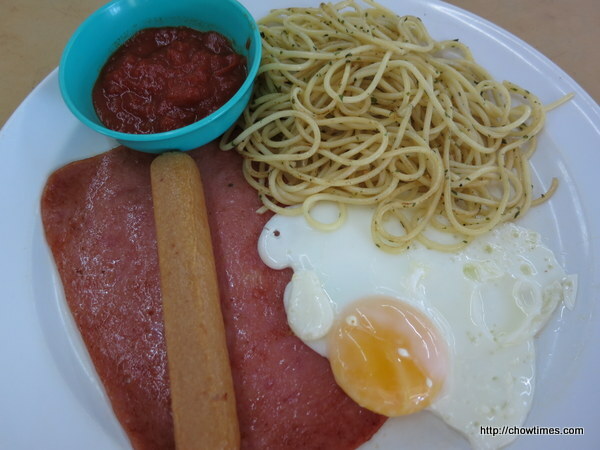 My niece had a breakfast style spaghetti which is RM6.50 (about CAD2). My father had a heavy breakfast at home. 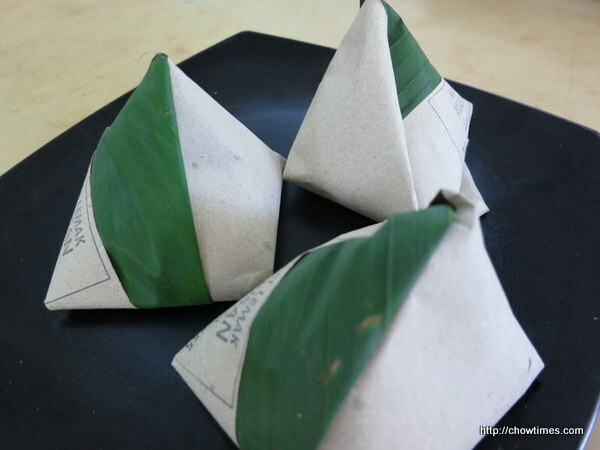 So, he only had one plain nasi lemak. 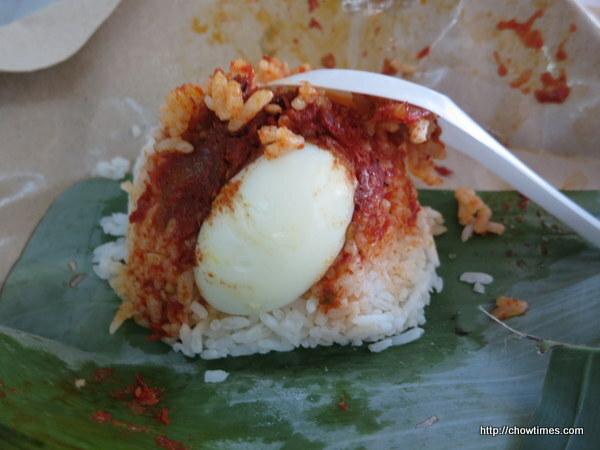 A plain nasi lemak with just sambal and half an egg is RM1.30 (about CAD0.40). I did share some of my kaya toast and soft boiled egg with my dad.